What is the real cost of the Corporate Christmas Party? Some staff members really love to party. The staff Christmas party is a greatly anticipated event for these people and they often are the ones that have the time of their lives. These social butterflies, or what are otherwise known as typical extroverts really are in seventh heaven. For others, it is scene of embarrassment and cringe – the opportunity to celebrate with colleagues somehow turned into dancing on the tables, singing karaoke and accidentally kissing that guy from the mailroom. Then there are the classical introverts. For these folks striking up a conversation is the last thing they would like to do and the would rather the dance floor swallow them whole than to ever be seen having a boogie. They are made to feel they must show their face, which they obligingly do – but what comes next? The office Christmas Party is the perfect time for the loud, annoying types to come out in force and make even the bravest introvert feel particularly shy. For some introverts, the office Christmas party may be their worst nightmare. Often the answer for those who feel uncomfortable at the party is to drink a lot to calm the nerves and loosen up a little. Sometimes this can be a real recipe for disaster. Different departments also value the party in different ways – we all know marketing and sales love a party. But what about everyone else? Many people also have families. Even though some would love the opportunity to leave the kids at home and party on with their colleagues, some parents only ever get a night off every now and then. Are workmates the ideal people to be hanging with in this rare situation of parental freedom? Some may argue they would love to see a family friendly party offered – but this is not everyone’s cup of tea of course. We also must consider at this point the role of different cultures. Australia is such a multicultural place yet the focus is always so much on drinking. There are many cultures within the Australian community that don’t drink. Australians do love any excuse to drink historically. However, just because some of us like a good drink – have you really considered people from every culture in this scenario? The cost of organising the Christmas Party can be high – room hire, food, alcohol, entertainment, invitations – and often a Christmas gift to go with this all from Santa. 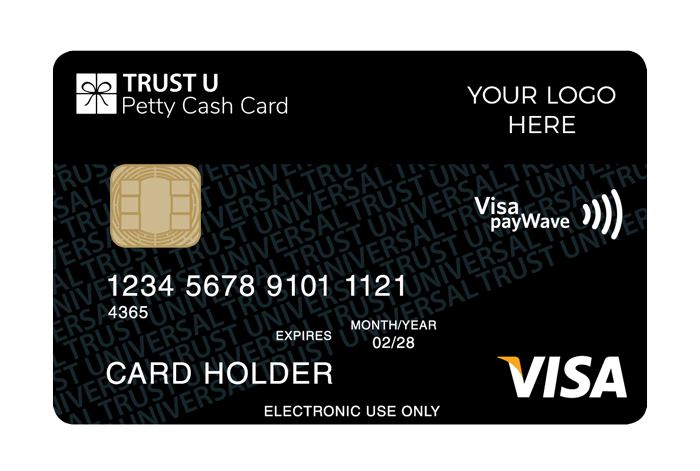 A Prepaid Mastercard, Visa card or eftpos card can be the idea that everyone will be guaranteed to love. The party animals can organise a night out and spend their prepaid gift card at the bar. Those not so interested in partying can head to the nearest bookshop, art store or technology centre for their own idea of a great time. The parents can take their kids out to dinner or organise a kid friendly get together. The adventure seekers can use the card to book themselves an exciting day out at Sydney Bridge Climb. Really, anything is possible. You can calculate the cost per head of the Christmas Party and match the value of the prepaid card as a generous gift to staff. If there is any disappointment from staff that wanted to have a party, you could offer to book a space at a restaurant or bar. The social butterflies in your clan can use their Prepaid gift cards at the bar. Anyone that cannot make it has the freedom to spend their Prepaid Gift Card on whatever they choose. 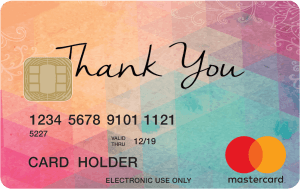 Corporate Prepaid Gift Cards offer a large range of generic Mastercard, Visa and eftpos cards. You can choose for one of their many great Christmas designs or you can personalise your cards with your company’s logo. You can also fully customise the artwork of the design, making it your own special gift to your staff. Employees will have positive thoughts about you and your company every time they use the card. Your company name and logo will remind them of you every time they open their purse or wallet. What a fantastic way to reward staff and make them all feel valued as individuals this Christmas. You can find out more by visiting our home page.